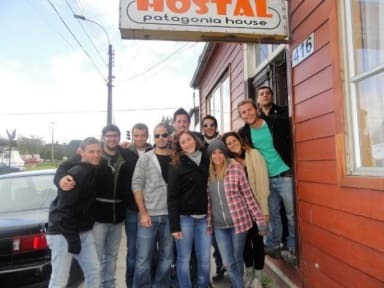 Patagonia House is a hostel for backpackers made by backpackers. 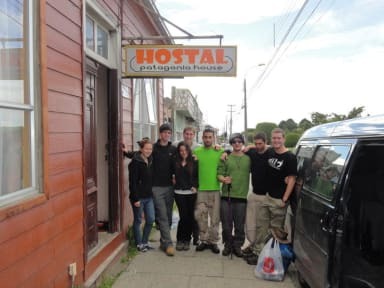 We know, that during your adventure it’s nice to stay at a fun place full of other travelers, yet cozy, calm, clean and with a comfortable bed. We are located in the downtown of the city and absolutely everything you need is in a walking distance: main square, bus stops, supermarkets, local market, sightseeings, beach etc. We provide informtation concerning tours, excursions and other activities. Rooms are clean and comfortable, so are the beds. Our kitchen is spacious and fully equipped, including gas stove and oven. Hot water, tea and coffee are free and available 24 hours. We have spacious dining room and flatscreen TV in case you miss it during your adventure. I ragazzi dello staff e il proprietario sono fantastici, disponibilissimi e sempre pronti a scambiare due chiacchiere o a dare qualche consiglio utile. Sono rimasta pochi giorni ma mi hanno fatto sentire a casa! costa poco ma offre poco..